Anyone doing a Friendsgiving this weekend? This is the first year I’m doing one! We live in a military community so normally I’d just invite all our friends over on Thanksgiving since everyone’s away from their family around here but my kids are going with their dad for the big day so I don’t plan on cooking at all on Thanksgiving. So we’re doing a Friendsgiving with some friends this weekend. 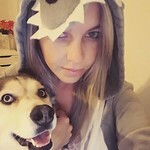 Pretty excited about it. It’s low pressure, fun, and everyone’s pitching in so no one feels like they’re cooking all day. One of the things we’re doing is putting twists on the Thanksgiving classics. I ran by Target for the ingredients for my twist on green bean casserole! Who doesn’t love green bean casserole?! So I needed Del Monte® Blue Lake® Cut Green Beans, Campbell’s® Cream of Mushroom Soup, and Swanson® Chicken broth. 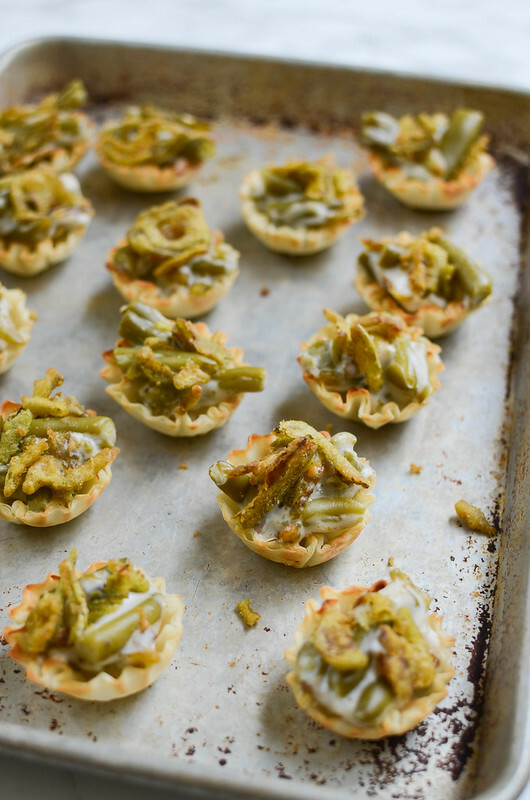 Plus, I grabbed some phyllo shells (in the freezer section) and French’s Crispy Jalapenos! 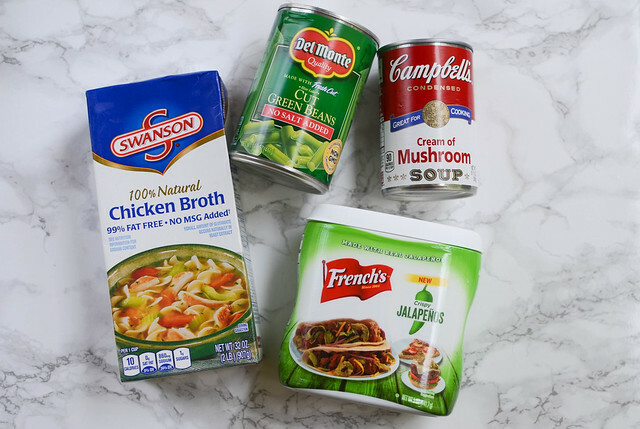 Campbell’s® makes a variety of soups that taste great and besides being great on their own, they’re perfect for casseroles and other quick and easy dinners. And finally, Swanson® Chicken broth is 100% natural and made from simple, familiar ingredients. Plus, it tastes amazing! 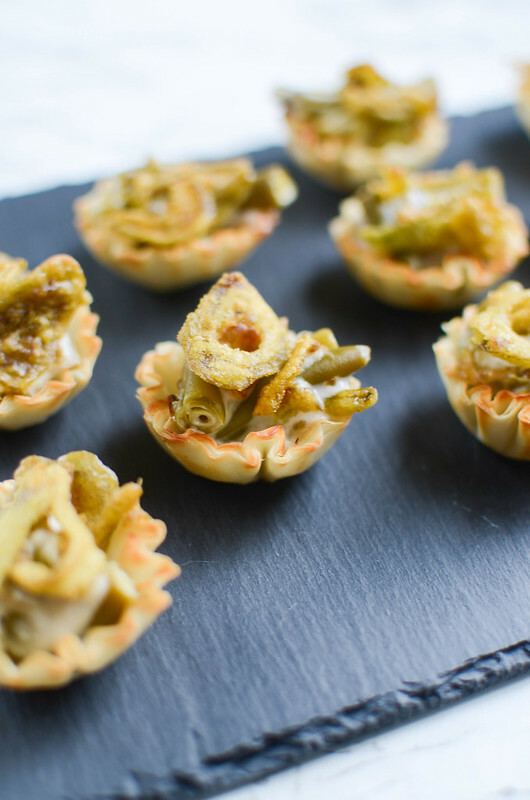 So I used all 3 of those ingredients to make the actual green bean casserole part of this recipe and then I threw in a handful of French’s Crispy Jalapenos which are new and fantastic and a great way to change up the classic green bean casserole. The perfect amount of heat! Then I filled the phyllo shells with the mixture and baked it until bubbly. Topped with more jalapenos and put it back in the oven for just a couple more minutes. 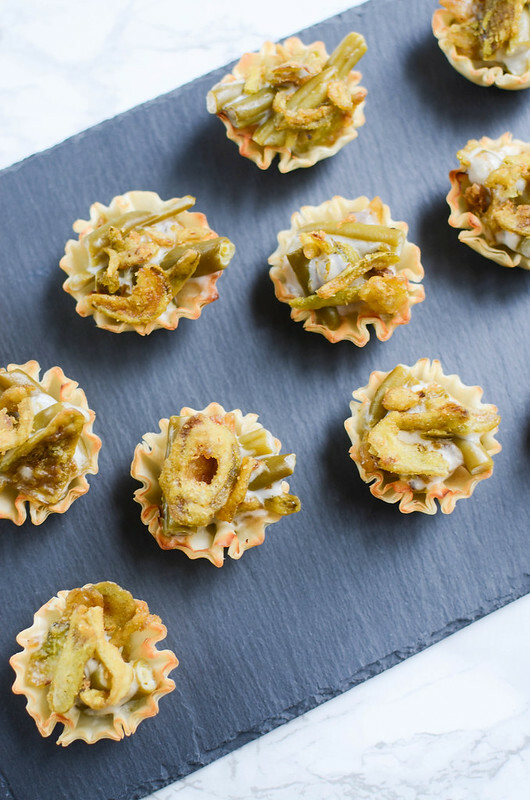 They are the perfect little bite – could work for either an appetizer or a side for your Friendsgiving! 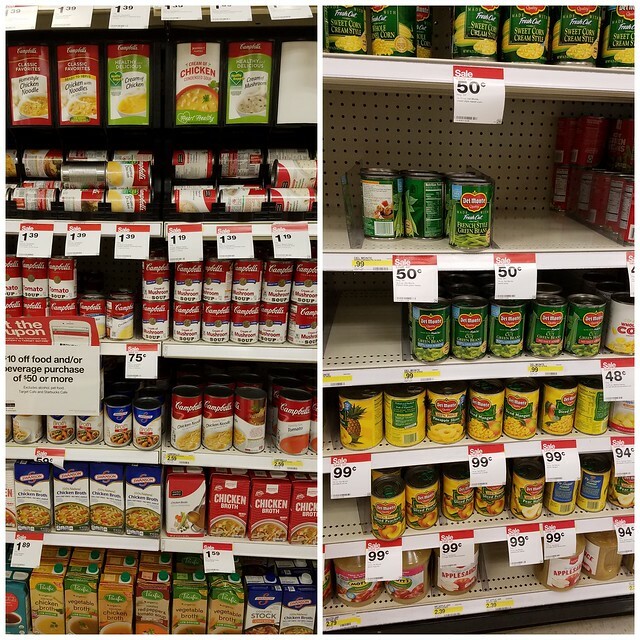 Target has everything you need for your Friendsgiving celebration including some money saving Cartwheel offers! One for Campbell’s Cream of Mushroom and one for Campbell’s Cream of Chicken. Here’s one for Swanson’s canned broth and one for Swanson broth in a carton. And one for Del Monte veggies. Almost all of those items were on sale when I was at Target the other day so now’s a good time to stock up! Preheat oven to 375F. Place phyllo shells on large baking sheet. In a mixing bowl, combine Campbell's® Cream of Mushroom Soup, Swanson® Chicken broth, black pepper, Del Monte® Blue Lake® Cut Green Beans, and 1/2 cup French's Crispy Jalapenos. Mix until thoroughly combined. Spoon the mixture into the phyllo shells. Bake 10 minutes, until the shells are crispy and the mixture bubbly. Top with remaining French's Crispy Jalapenos and bake another 2 - 3 minutes, until the jalapenos are golden. 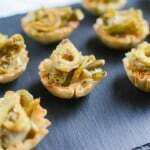 3 Responses to "Green Bean Casserole Phyllo Bites"
great for a buffet get together.